The PrOSt! research group was established at the Corvinus University of Budapest (today Szent Istvan University), Hungary in 2013 with a view to strengthening engineering research, teaching, and international standing. 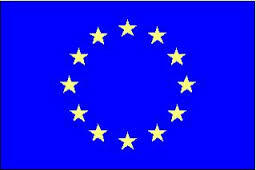 Our research activity is funded by the 7th European Union Framework Programme (PCIG11-GA-2012-322219). PrOSt! is an abbreviation of an interdisciplinary research project that promotes information and knowledge exchange in between several academic units of the host university and forms a strong intra-European scientific network involving academic and industrial partners. The goal of the overall project is to develop low-calorie beverages with prebiotic properties from cheap and abundant feedstocks. The demand for healthier and low-calorie foods is increasing worldwide. Galactooligosaccharides and fructooligosaccharides are considered to be naturally-occuring prebiotics because they can selectively stimulate the growth of beneficial bacteria in the colon, and thus, improve host health. These oligosaccharides (OS) also have excellent technological properties regarding to viscosity, stability, solubility, and taste. A common weakness of the current OS production technologies is the incomplete bioconversion that results in a carbohydrate mixture consisting of a considerable amount of residual disaccharides and monosaccharides. Further purification of this mixture involves complex, high-cost and low-yield technologies that restricts the application of OS in low-calorie food formulations. Thie PrOSt! project is devoted to the development of a novel technology for manufacturing low-calorie, value-added beverages that have beneficial health effects. The proposed technology has two key steps. First, the sugars present in cheap and abundant feedstocks available within the EU, such as whey and molasses, are partially converted into valuable OS. Then, the obtained saccharide mixtures are further processed in a selective fermentation step using appropriate microorganisms that are capable of utilizing monoand disaccharides but lack the power to hydrolyze OS to a higher extent. The utilized carbon source is not wasted but required for giving rise to odour and taste constituents. The resulting mildly sweet product has a prebiotic function due to the presence of remaining OS. This highly multi-disciplinary research gathers new experimental data, involves ’state of the art’ experimental and theoretical analysis on fundamental phenomena and their implications to real-life systems, and attempts to identify process designs, that have promising potential for industrial implementation, taking into account technical, economical and environmental impact tradeoffs.